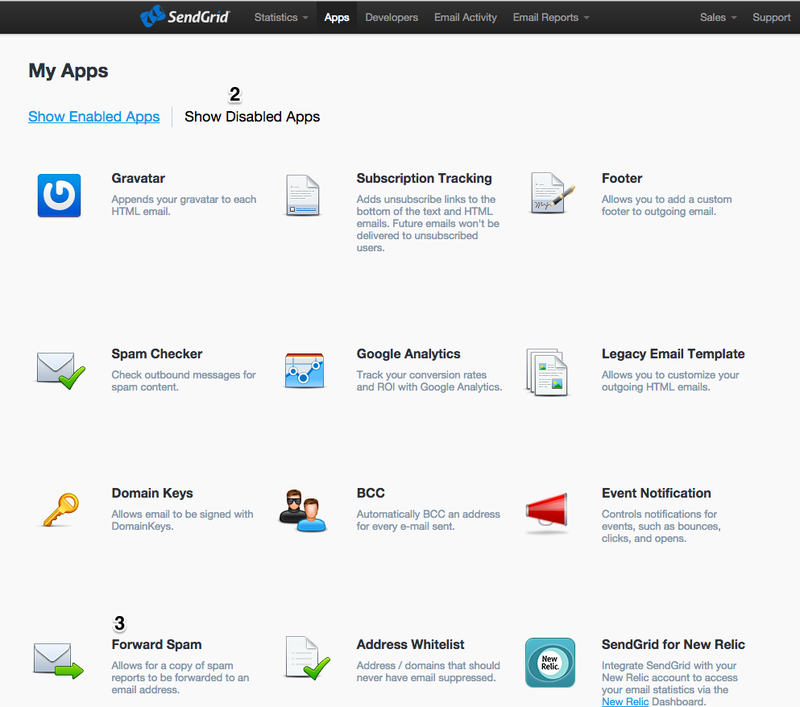 This page explains how to integrate BOUNCE reports when using SendGrid as a relay server. 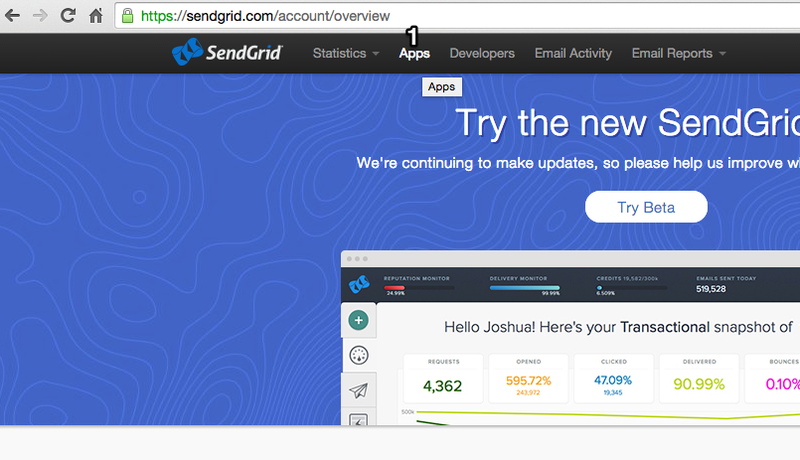 With these instructions it is possible to setup your SendGrid to forward bounces to GreenArrow for processing and the statistics section in GreenArrow Engine and GreenArrow Studio (if present) will display the information from the bounce. 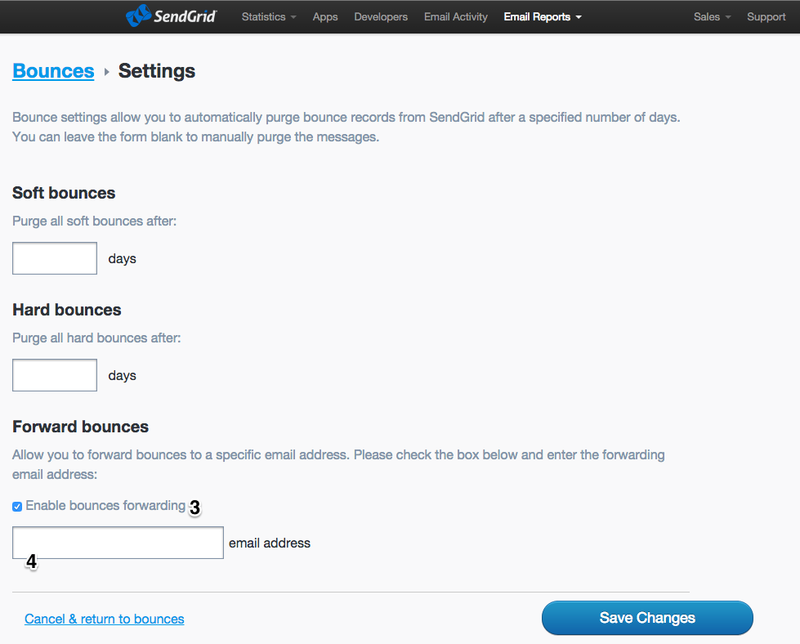 This setup works because SendGrid’s bounce forwarding function can forward the bounce notification to the original Return-Path (bounce address) in the message. 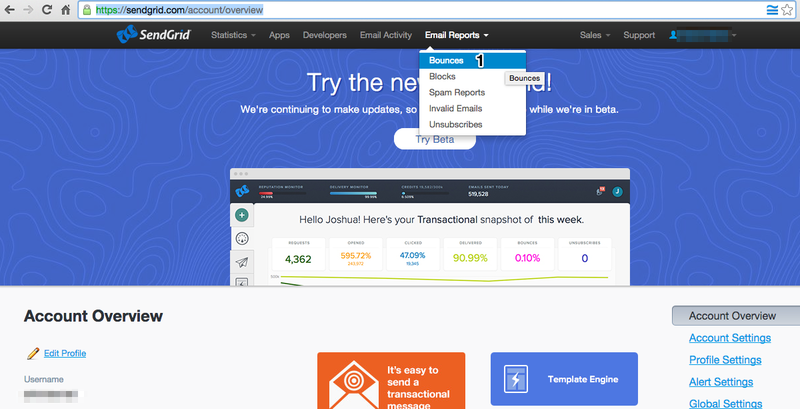 GreenArrow is able to process these forwarded bounes. 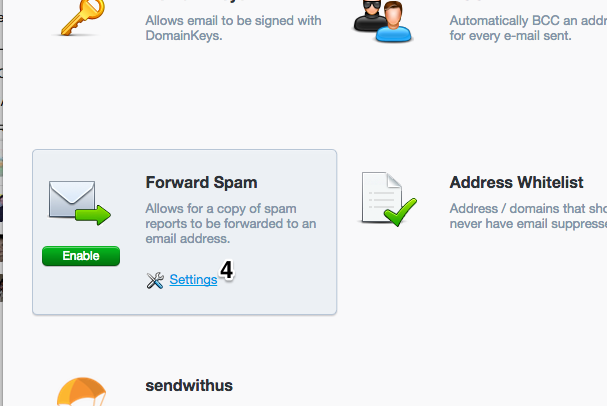 Finally, click on the Enable button that is available when hovering over the Forward Spam app.